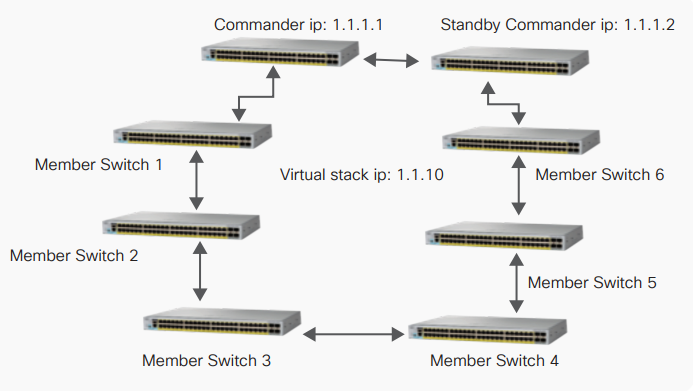 A switch can be configured as a standby commander for a cluster to make sure of continued manageability of the cluster switches in case a commander switch fails. The standby switch will take over only in a situation in which the commander switch fails. In such a case, the standby switch will assume the virtual stack address. On the commander switch, make sure that the switch has an IP address. After configuring the IP address, similar to that of HSRP configuration, create a standby group and assign it the IP address as that of the virtual stack. For the group created, make sure that the commander switch is configured with a higher priority than that of the standby commander switch. 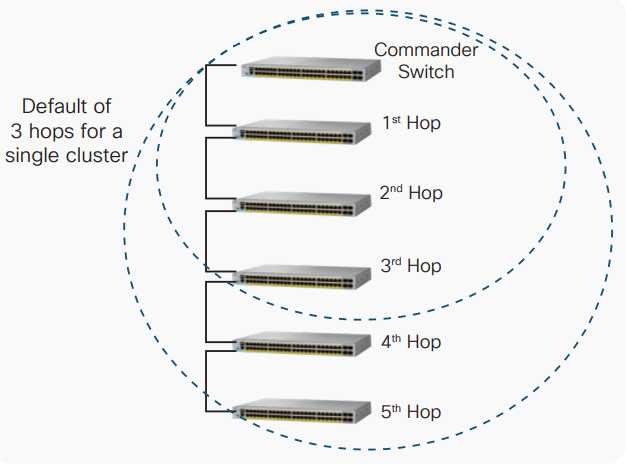 Similar to the configuration of the commander switch, configure the standby commander switch. On the commander switch, execute the “show cluster” and “show cluster member” commands and verify that the standby commander is configured. On the standby commander, execute the “show cluster” command to verify. Cisco Catalyst 2960-L switches support a maximum of eight switches in single virtual domain, and every switch can be configured to only be a part of a single domain. 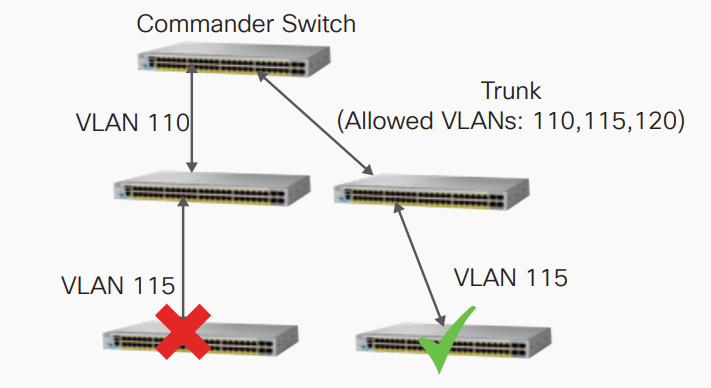 Switches interconnected using non-cluster-capable Cisco switches cannot be added to the same cluster group. However, switches interconnected through a hub that is not capable of using Cisco Discovery Protocol can be discovered by the commander switch. The virtual stacking technology provides an easy and effective way for administrators to maintain and manage Cisco Catalyst 2960-L switches without having to invest in any additional hardware or compromise on network performance. How to Stack Cisco Catalyst 2960-X or 2960-XR Series Switches?